Your own Indiana Island ready for your next hopping celebration. Our new Tropical Jungle Bouncer(it is a bit of the tropical forest with a dash of Hoosier - it includes a basketball goal inside the bouncer!) is the perfect choice. 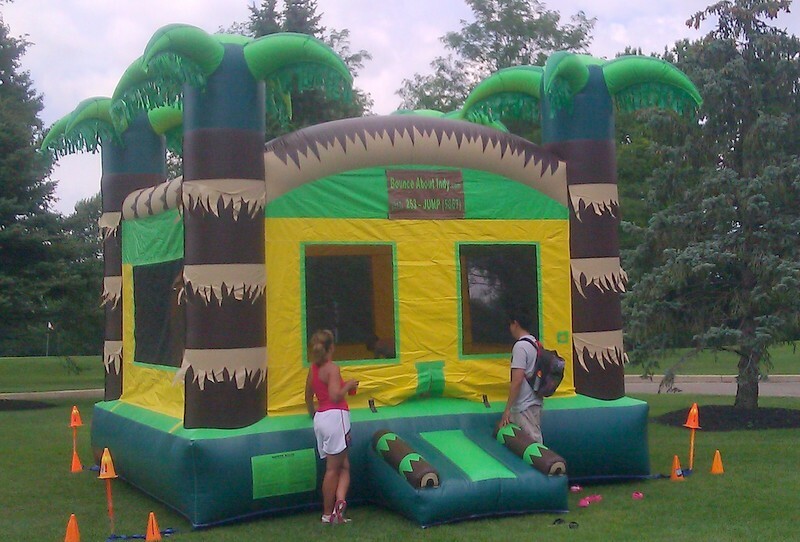 Whether you have a date for an Hawaiin Luau or you have some Pirates of the Carribean searching for a new adventure this is the perfect Tropical Themed bounce house.